Keanu Reeves attends the Japan premiere of ‘John Wick: Chapter 2' at Roppongi Hills on June 13, 2017 in Tokyo, Japan. Netflix is hellbent on becoming the One Hollywood Studio to Disrupt Them All. Even though some of its films have been received a little less than warmly, Netflix is reportedly moving forward with Past Midnight, a new superhero film with Rick Famuyiwa and the Russo Brothers attached as co-directors. 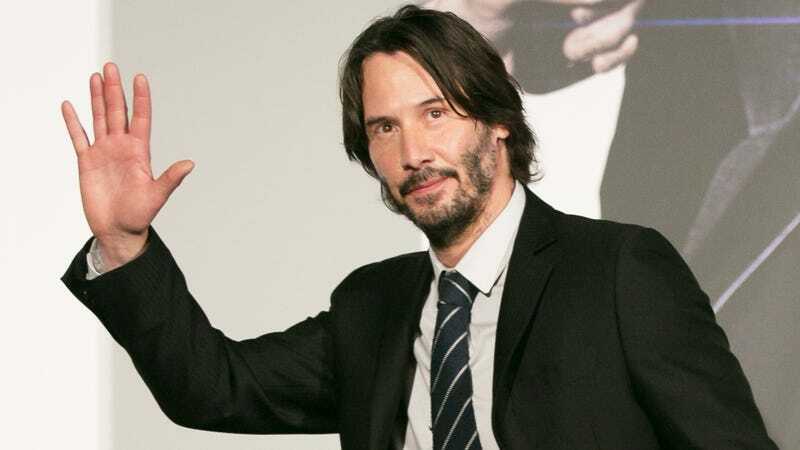 According to Deadline, Past Midnight, written by TJ Fixman, will tell the story of “a new kind of vigilante superhero”—and Netflix is in talks to cast Keanu Reeves as its star. Details about Past Midnight are few and far between right now, but the slate of production talent attached to the movie is nothing if not promising. Famuyiwa directed 2015's excellent Dope and is helming the upcoming adaptation of Charles Burns’ Black Hole, a graphic novel about a group of teens who begin manifesting strange mutations after contracting a strange sexually transmitted infection. A while back he was attached to Warner Bros.’ The Flash film, so it seems he’s keen on superhero tales. The Russo Brothers are a pair of up-and-coming indie filmmakers whose credits include small, budget films like Marvel’s Captain America: Winter Soldier and the upcoming Avengers: Infinity War, so it remains to be seen just what they have to bring to the table. What may end up making or breaking the film, though, is whether Reeves does end up signing on as Past Midnight’s lead. Because let’s be honest: The world needs more action movies with him front and center.